Chapter 7 bankruptcy is the type of bankruptcy most individuals file to eliminate certain types of debts. Usually credit card debt, medical bills, collection accounts or any other unsecured debt can be eliminated in a Chapter 7 bankruptcy. In New Mexico, chapter 7 bankruptcies are filed in over ninety percent of the bankruptcy cases filed. Prices vary for Chapter 7 bankruptcy depending on your unique circumstances. However, the attorney's fees, filing fees and other costs for a simple no-asset Chapter 7 bankruptcy start at $2,040.00. Chapter 11 Bankruptcy is a business reorganization that is filed to help business entities (corporations, partnerships and sole proprietorships) reorganize its debt so that it can continue to operate and pay back the debt over time. Chapter 11 is used very infrequently; however, there are certain circumstances where it can help. Chapter 11 is expensive, and it can create an administrative burden. The cost of a Chapter 11 bankruptcy is determined on a case by case basis. Usually a minimum retainer of $10,000.00 is required and further attorney's fees are charged at $250.00 per hour. Chapter 12 bankruptcy is designed to permit family farmers and fishermen to repay their debs over a period of time from future earnings and is similar to a chapter 13. The eligibility requirements are restrictive, limiting its use to those whose income arises primarily from a family-owned farm or commecial fishing operation. Usually a minimum retainer of $5,000 is required and furher attorney's fees are charged at $250.00 per hour. Due to the economic decline, our office found it necessary to file Chapter 13 bankruptcies in an effort to help many homeowners who are being threatened with foreclosures. If you cannot qualify for Chapter 7 bankruptcy, or if your circumstances dictate that you need to file a Chapter 13 bankruptcy, please contact our office to set up an initial consultation. Usually a minimum retainer of $2,000 is required and further attorney's fees are charged at $250.00 per hour. Some bankruptcies that are filed require further court proceedings called adversary proceedings. Adversary proceedings usually require a bankruptcy court judge to determine issues such as whether a particular debt is dischargeable in bankruptcy or whether a bankruptcy trustee is entitled to certain property owned by debtors. These types of issues that arise in bankruptcy proceedings require further representation by your bankruptcy attorney. Many bankruptcy attorneys do not represent debtors in adversary proceedings; therefore, many of the referrals for these types of matters are sent to me. Prices vary for these types of proceedings depending on the causes of action that are involved. However, a normal retainer is in the area of $1,500.00 to $3,000.00. Further attorney's fees are billed at an hourly rate of $250.00 per hour. Some people may not want to file for bankruptcy or do not qualify for bankruptcy. In these types of cases, negotiating a lower settlement amount with a particular creditor may be in the best interest of the debtors. In these types of cases, a flat fee of $750.00 per creditor is charged to negotiate a settlement. Every creditor will negotiate; however, some make better deals than others so there is no guarantee that you will be able to settle for a certain percentage owed. Also, in order to settle, debtors must have a lump sum of money available to pay over to the creditor. Creditors will make better deals if they are promised a lump sum rather than further payments over time. 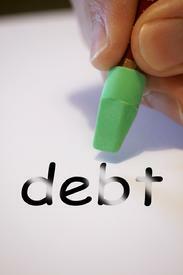 In some cases, creditors do not always follow the bankruptcy laws. When a creditor violates the law, I try not to let them get away with it. I will pursue damages from creditors who consistently violate your rights by filing an adversary action against the creditor in your bankruptcy. These types of cases usually lead to debtors receiving a payment from the creditor for damages because of the creditor's eroneous conduct. Therefore, if your rights are violated after I file your bankruptcy, I will pursue these creditor and hopefully obtain a settlement for you. These cases are normally taken on a contingency fee basis which means that I do not collect a fee unless I collect something from the creditor for you.